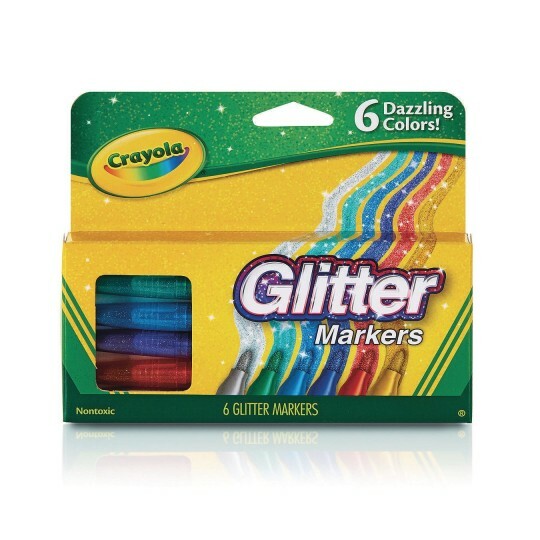 Add dazzling glitter or metallic shimmer to any coloring or drawing project! Glitter colors include Silver, Gold, Red, Blue, Green and Purple. The kids really enjoy these glitter markers for crafts.